This is a Rainbow Lithograph of the Alaskan Coastal Plain where Caribou calve their young. I tried to describe the vast Coastal Plain and the primary Caribou calving grounds. The Oil industry and legislators have opened this fragile habitat to the oil industry for drilling in the Arctic National Wildlife Refuge. Despite preliminary tests showing a month supply of oil at current US consumption. I am passionate about protecting wild, natural habitats. In 1989 and 1990 I applied to the Organization for Tropical Studies and received a field permit to research and create art work in the Costa Rican Tropical Rainforest. In 1989 I volunteered at the Sea Otter Rescue Center in Alaska. These field research opportunities were foundational in my dedication to protect and preserve habitats near and far through art, activism and civic engagement. While it is important to do artwork that describes habitat devastation in Alaska and the Tropical Rainforests, people won’t understand unless they have a connection in their own backyard. His guidance challenged me to create art that connects people to our local native flora and fauna. When they make that connection, it extends to wild places around the world. When Melanie Choukas-Bradley asked me to join her on the Sugarloaf Mountain project to research and create art for this book, I thought back to my mentor and realized that this would be "walking the talk." Over the years I have worked with local conservation and civic groups in efforts to protect clean air and water. Joined forces to compel the local coal-fired power plant to implement pollution control technology. 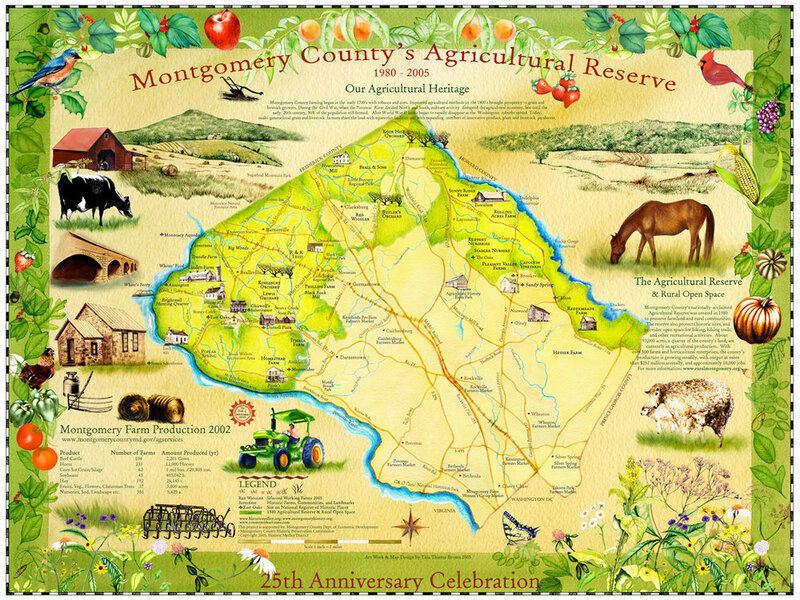 Met with lawmakers to oppose development pressure in Montgomery County's Agricultural Reserve. Given testimony on a wide array of regional issues that would threaten our environment. In 2001 I led the fight to stop Virginia developers from building a new Potomac River bridge with the associated development into the Agricultural Reserve. That work continues with local civic organizations. Civic Engagement on behalf of the environment and artwork that describes the Sugarloaf Mountain Countryside, is the focus of my work.